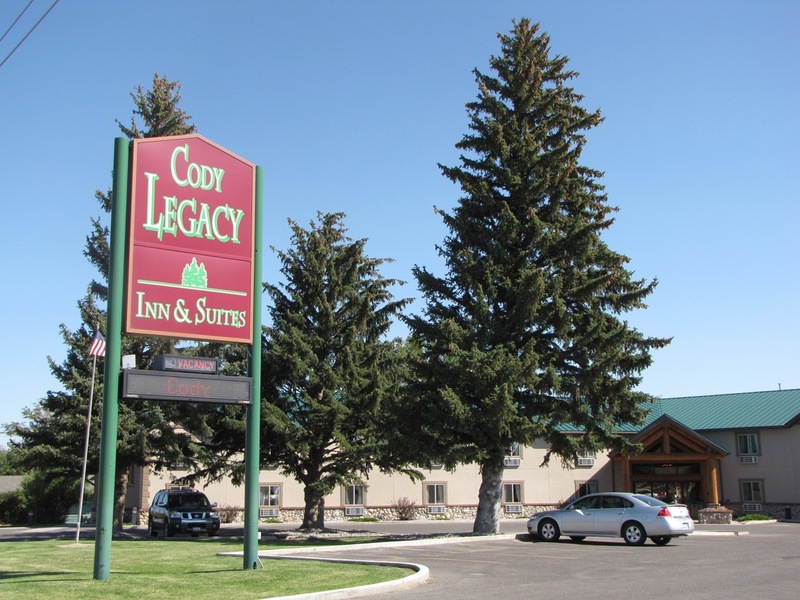 The Cody Legacy Inn features a theme that pays tribute to the history of the area while offering all the modern amenities to comfort the weary traveler. Guests may browse through the beautiful two story lobby surrounded by historical photos and stories of Cody’s founding fathers, memorable characters and events. Enjoy a cup of coffee in front of the stone fireplace while you relax. Upon retiring for the evening, guests will find the rooms large and thoughtfully well appointed; featuring beautifully crafted lodge-pole pine furniture and comfortable pillow-top mattresses. Open year-round. No Pets.